“Have you seen it?” said a woman to the cashier at the Superette. I was eavesdropping on the conversation. “The flotsam?” To that moment I’d never heard the word. Webster’s defines it as the wreckage of a ship or cargo that gets washed up by the sea. 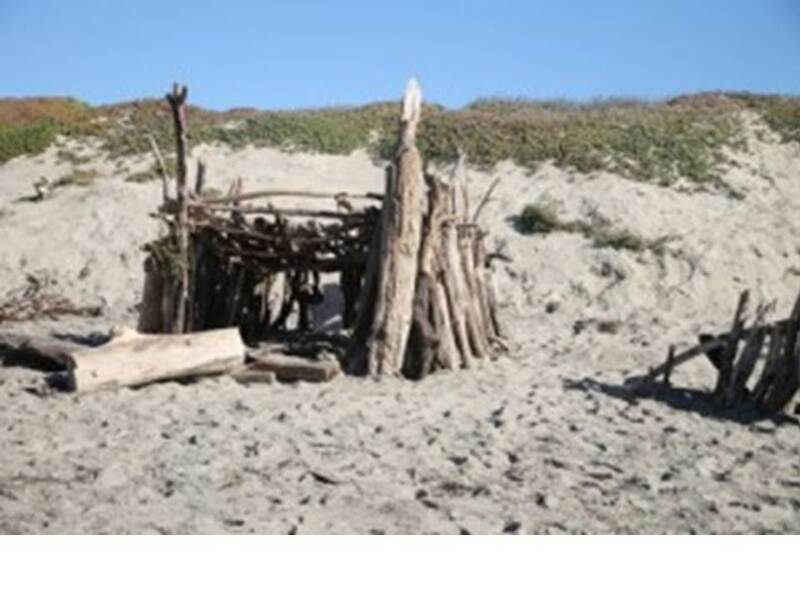 “Over many months,” the check-out line story went, “beachgoers” had created this awesome structure. What transpired was elegant. Homespun. Substantial. I dragged my kids down to a remote part of the beach to see this creation. They laughed. We played inside. We looked for something of our own to add. Later that day I finally got around to investigating flotsam. Its alternate definition hung with me: people or things that have been rejected and are regarded as worthless. In the structure I saw something else entirely….hope. Today I’m clinging to that hope. A full complement of emotions from earlier in my transition have reappeared. Guilt. Shame. Fear. Anger. More anger. I’d been visited by each, Scrooge-like, since my transition started. Would it surprise you that it started almost four years ago? I thought that I’d emerged from that phase. The roiling emotions. I’m realizing that I’m about to go around again on this loop circuit. What is bringing all this up? I am in the early stages of writing my book on women and transition. (Hooray!) I’m working on the definition chapter and in the process re-reading gobs of research on women, work and life in general. In a more hopeful moment my reaction to this data is, ‘who cares.’ I’m only going forward – not back. Maybe that’s why I liked the flotsam. Reassembled. Better? My read-athon also gave me cause to reread my favorite business book, The Goal by Eliyahu Goldratt. Its formal topic is ongoing process improvement. But if that’s all you take away from it then you’ve missed this book – entirely. The Goal is a book of fiction whose main character, Alex – a plant manager, is trying to save his plant. Along the way he realizes that he and his team are focusing on the wrong things — thanks to the direction of ‘corporate.’ The book traces the risks and shenanigans that transpire for Alex and his team as they realize what really matters. c) How to cause the change. If you read the data about women and the workplace, women fare only a little better than the flotsam – disregarded or assumed to be of greatly diminished value. But, like The Goal, this view misses the point entirely. I’m disappointed that the data and prospects aren’t better overall for women and for women in transition in particular. But after four years of transition I believe that the energy derived from pursuing one’s passion negates most of what is behind those numbers. I hope that your transition is like the creation we witnessed earlier on our beach. Inspiring. Surprising. Spirited….. 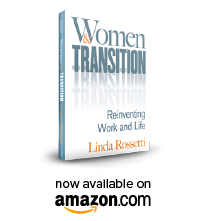 This entry was posted in Observations on Transition and tagged Candy Deemer, career transition, career transition issues, Getting Even by Evelyn Murphy, observations from a women's transition, Off Ramps and On Ramps by Sylvia Ann Hewlett, The Goal by Goldratt, transition, women's transition. Bookmark the permalink.